CSGO, Really Bad Lag Spikes And WTFast! - KABALYERO - PLAY, BLOG & EARN! 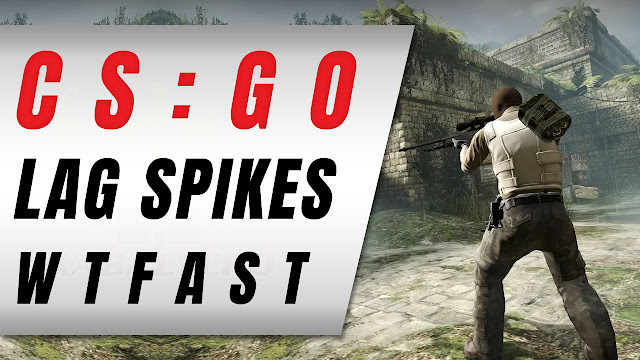 Home / counter-strike / counter-strike global offensive / csgo / csgo wtfast / lag spikes / lag spikes fix / lower game lag / lower game ping / reduce game lag / wtfast / wtfast csgo / wtfast lag / wtfast lag spikes / CSGO, Really Bad Lag Spikes And WTFast! CSGO, Really Bad Lag Spikes And WTFast! Whenever I play CSGO or Counter-Strike Global Offensive, I would get hit with some really bad lag spikes every freaking time and it's making the game NOT fun to play. I know it's not my video card because I'm pretty sure that a GTX 1050 is more than enough to run CSGO and before that my video card was only a GT 730 and it was running CSGO at low graphics settings. Since I still have over 280 days in my WTFast subscription, I tried running CSGO through WTFast to see if WTFast can fix or even eliminate this really annoying Lag Spikes that happens while I'm playing CSGO. At first, I had problems connecting to a CSGO official server. I tried multiple times but it just wouldn't let me connect. I fixed this problem by manually changing the WTFast server I was using to Hongkong 10 which was the server with the lowest ping. After that, I got connected to a match and played the game really bad but, the really bad news was, the lag spikes were still happening all the freaking time. Right now, I have no idea how to fix this really bad lag spikes that I'm experiencing when I'm playing CSGO. If it's not my video card and it's not my internet connection then what could it be? So guys, do any of you have an idea on how to fix this really bad lag spikes in CSGO and are you also using WTFast to improve your server connection to the game you're playing? Post your answers as well as your comments, questions or reactions in the comments section below.